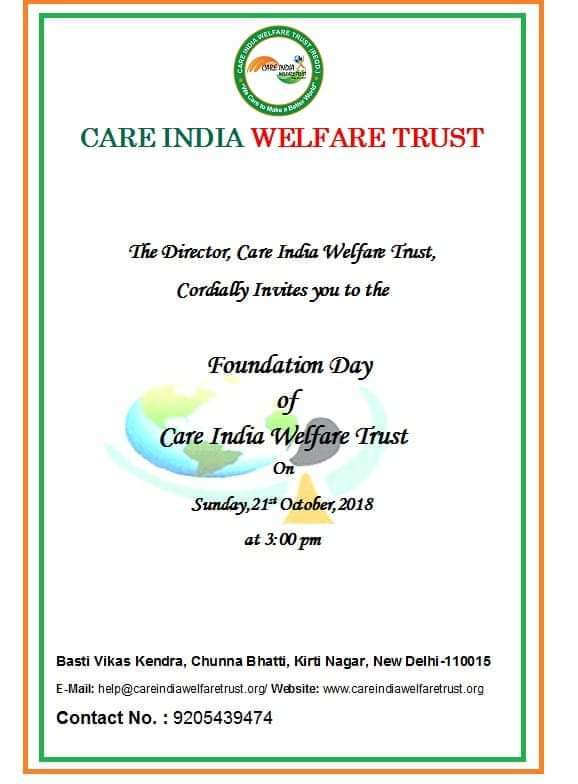 CIWT will celebrate it's foundation day on 21st October 2018. It is a day set aside to celebrate our history and reconnect with the continuing journey of the organization.By celebrating this day we express our gratitude to our founder, Mr. Mahinder Dobriyal, for his wisdom and ambition in establishing this NGO especially for women and girls out of which has grown this wonderful and exciting centre of education.We celebrate the joy of learning as we develop in mind, body and spirit. We will celebrate the bond that we share with past and present students of CIWT.We honour our founding fathers as we reflect on the commitment and dedication they displayed to see their vision of women empowerment comes to reality.All are invited for making this day memorable. Care India Welfare Trust wishes a Happy Holi in advance. This festival of colours falls on 21st March 2019. So we are celebrating h..
CIWT will celebrate it's foundation day on 21st October 2018. 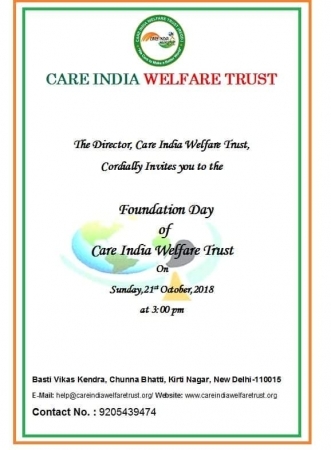 It is a day set aside to celebrate our history and reconnect with t..
CARE INDIA WELFARE TRUST is a Non-Government and Non Profit making organization, Established to work in the areas of Health, Education, relief of poor, and to provide amenities and facilities to physically disabled people. We highly appreciate the support by all of our donors and volunteers who provide necessary resources towards accomplishment of our work and mission.